The Graduate Business Forum met for its 31st conference in the beautiful city of Shanghai in May 2015. The conference was hosted in the campus of Asia’s leading business school, China Europe International Business School (CEIBS). 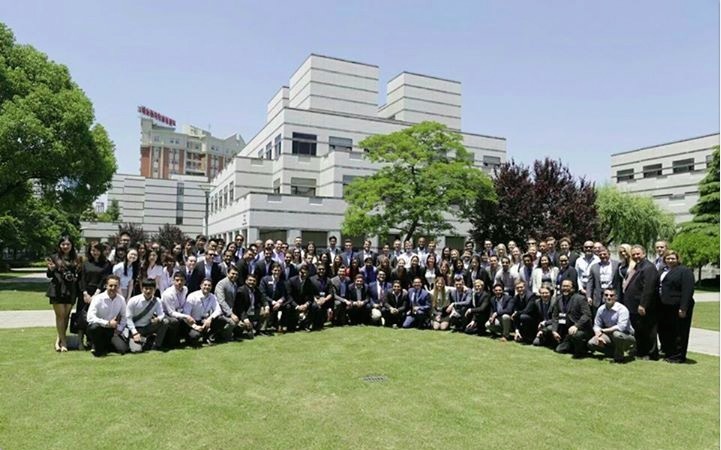 58 student delegates from 31 top B-schools spread across 15 countries in 5 continents attended this year’s conference, with record-breaking participation by 25 alumni. The conference lasted five days; it started with a Treasure Hunt the day delegates arrived. This was designed to familiarise the delegates with Shanghai. The formal inauguration happened the following day when GBF and CEIBS leadership kicked off the events. The first day events were a window into China’s world – its growth story, its reemergence in global economics, and how it impacts geopolitics. Lectures were taken by leading CEIBS faculty on the subject and the day ended with a lively debate between Chinese entrepreneur Eric Li and social commentator Chandra Nair. The next two days were focused on the key functions/objectives of the Graduate Business Forum. These included best practice sharing between student leaders of different schools, knowledge sharing by experience alumni and GBF leadership, election of the new Presidents’ Forum Executives, and team building activities such as group presentation projects. The conference wrapped up on the final evening by honoring 2015 GBF Student Leadership Award recipient Alexander Brown of the Tepper Business School at Carnegie Mellon University and 2015 GBF Responsible Leadership Award recipient, the Social Impact Club of the National University of Singapore, represented by Julian Ragragio; the most poignant moment of the conference was to hear about the impact Cantawaris Solar Pumping Project can make in the areas of the Philippines affected by Typhoon Haiyan in November 2013. The famed Chinese hospitality was in full view throughout the conference. Delegates were served delicious Chinese cuisines all days of the conference; Chinese calligraphy sessions were also organized for delegates. Each evening was topped up by visits to the best bars/lounges in the city. All in all, the Graduate Business Conference 2015 in Shanghai was a great success and set a benchmark that will be hard to match in future conferences!